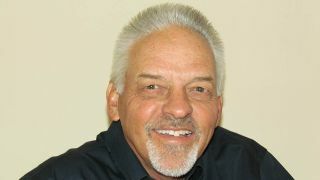 Tech Works has appointed Michael A. Wilcock to the position of national sales manager. In his new position, Wilcock will oversee all sales and sales management for the full line of Tech Works healthcare AV products. A veteran of the healthcare communications industry, Wilcock brings to Tech Works more than 25 years of experience in designing and selling life safety systems for hospitals, medical office buildings, skilled nursing, and senior living facilities. He has consulted and held high-level positions with engineering firms, integrators, and major manufacturers including Stentofon Communications, Rauland-Borg, Centrak, and numerous other companies in the healthcare sector. In his new position, Wilcock will work directly with Tech Works' existing user base, as well as working to expand and oversee the company's rapidly growing network of dealers. He will also take charge of developing new growth strategies for Tech Works, including exploring new corporate relationships and ventures. "We are thrilled to welcome Mike to Tech Works," said Mark Dundas, Tech Works founder and president. "His extensive knowledge of the healthcare industry makes him an asset not just to our company, but to all our clients and customers." "Tech Works is one of the healthcare industry's secret success stories," Wilcock said. "Their products are virtually everywhere, and their technology is second to none. We will be working to grow the company's brand profile and create a greater awareness of Tech Works products. It's an exciting time and I'm thrilled to be joining the company at a time of such tremendous growth." Wilcock will be based out of the company's headquarters in Yorba Linda, CA.